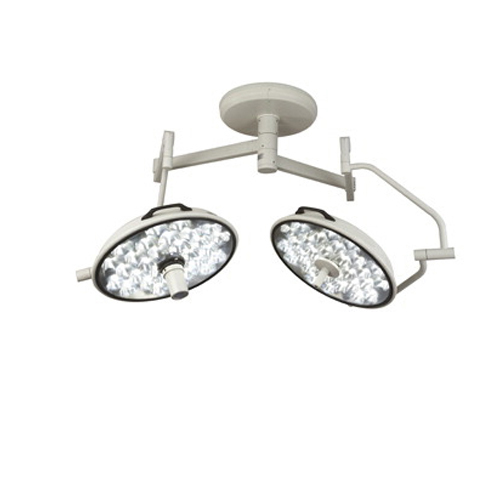 Using long-lasting LEDs and proprietary reflector design, the Visum LED II offers world-class lighting for the OR. With maximum brightness and exceptional shadow resolution as the keys to success in surgical lighting, the Visum LED II provides a large column of light and superior illumination. This is achieved while providing pure white light that will remain cool under the most demanding conditions. 41” Column of Light: Large spot size and depth of field provides a large column of light, decreasing the need to adjust the light during a procedure. 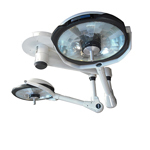 Superior Shadow Resolution: Stryker’s proprietary reflector technology effectively reduces shadows to keep the surgical site clearly illuminated while maintaining a large depth of field. Single Color LEDs: Provides up to160,000 lux of pure white light. Low Heat Output: LEDs do not emit UV or Infrared light waves, helping to keep the OR staff cool even during long cases, and creating a more comfortable work environment. Long-Lasting LEDs: LEDs are designed for 50,000+ hours of use, decreasing operating costs and downtime while increasing your return on investment.